PARIS, Oct 16, 2012/ — Twice in a row, Georges Hobeika has once again been invited by Frimousses de Créateurs de l’UNICEF to create a doll for its annual fundraiser benefiting the l’UNICER pour les Droits de l’Enfant (UNICEF for the Rights of the Child). Now on its tenth year, the money raised by Frimousses de Créateurs de l’UNICEF will be used to provide health and medical services for children in the Darfur region. Last year, Georges Hobeika created a doll with long dress in golden beige silk tulle, embroidered with pearl leaves. This year, the famed designer is submitting a doll once again in long dress but this time it is done in silk organza and tulle golden beige, embroidered with flowers, pearls and Swarovski crystals. Since its inception, the annual doll exhibition by Frimousses de Créateurs de l’UNICEF has been timed to coincide with the start of holiday shopping season in Paris. 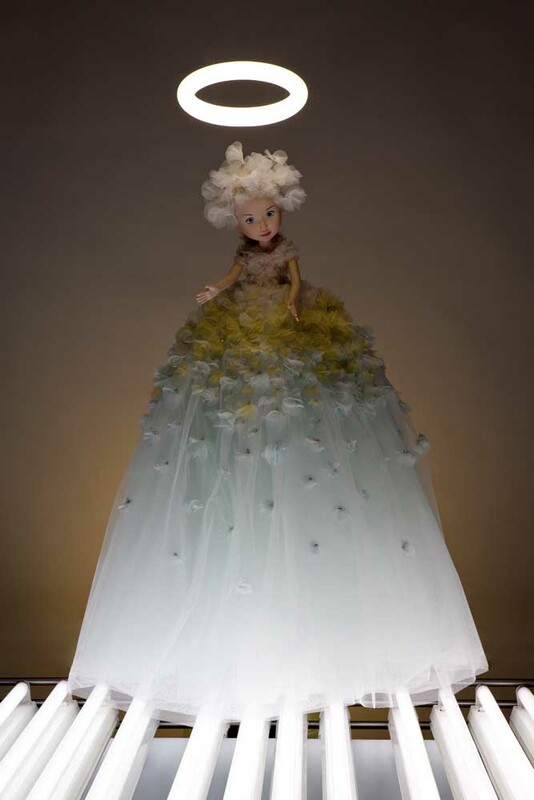 The dolls will be exhibited at the Petit Palais from 27 November to 2 December 2012, with the auction to be held on December 3rd. The event will be hosted by Artcurial Briest-Poulain-F.Tajan.